8 Pitfalls of Self-Publishing: Spend your money wisely by learning from someone who didn’t. 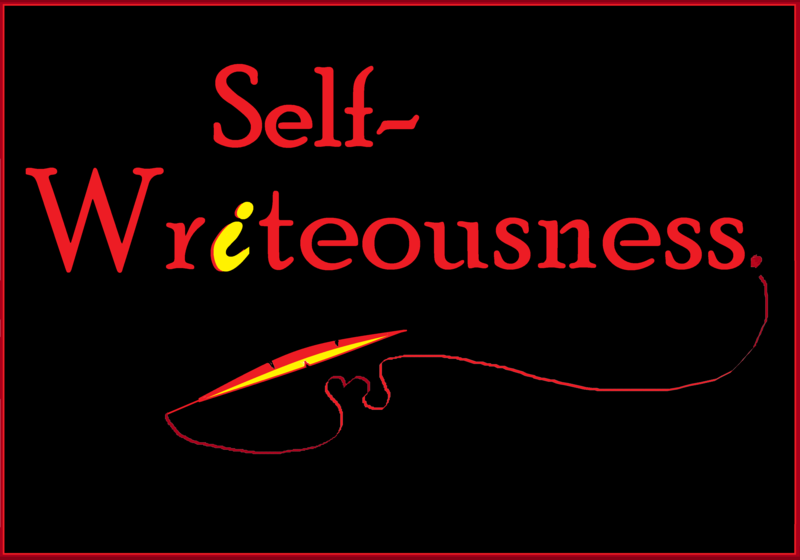 – Celebrate the "I" in "WRITER"! 8 Pitfalls of Self-Publishing: Spend your money wisely by learning from someone who didn’t. Many moons ago, before a kind-hearted publisher who liked my stuff gave me a shot at traditional publishing, I, like many aspiring writers, tried my hand at self-publishing. I was clueless about self-promotion, I spent my money in all the stupid ways, and I learned some valuable lessons in what not to do with my time and resources. Up to now, I’ve been trying to erase these misadventures in authordom from my consciousness. But I like starry-eyed authors, and I’d like to help them keep dreaming big without getting burned as bad as once I did. Publishers who use phrases like “start-up cost” or “for a small fee…” This goes for any publisher, really, but again, if you’re new to this, self-pub authors don’t generally have to pay kdp.amazon.com or ingramspark.com until they have a finished, publishable project. Publishers who want fees upfront are almost always scammers. Book reviewers who charge over $100 per review. This is one I actually fell for hard, and I’m still pissed about it. I won’t use their names ’cause I’m classy like that, but well-known reviewers that rhyme with Jerkus and Unfairion charge “$499” and “$425” per 500-ish word review, says the internet. Jerkus goes so far as to boast it “could generously boost your writing career.” Nah-uh. What they mean is they give you their review, you give them money, and they’re done with you. In order to make their review work for you, you take the best bits of the review, put it on your posters, slap it on the back of your book, and turn it over to your publicist – assuming you can afford a publicist after shelling out for the review – y’all can do your best to conjure some author-publicist magic with which boost your career. Even then, you probably won’t be a household name. On the other hand, for the cost of a free book and a respectful e-mail, you can get influencers to talk about your book for free on Goodreads, You Tube, and reviewers’ own websites. This is an affordable option for authors at any stage of their careers, and I wish I knew about it sooner. Trusting your eye over a professional editor. I get it. That $200 to hire an editor could be a week of groceries, half a computer, 100 lottery tickets, etc. Also, writers are fragile, egotistical, or both. Non of us wants to pay a stranger to tell us the work over which we’ve toiled and wept could use an overhaul. But for me, about 6 proofreads into my own stuff, the words turn to mud, and I find myself sleep-reading. Even if you think you’ve caught everything, you haven’t, so don’t disrespect your novel. Pay a professional to hack it apart and tell you some harsh truths about your grammar errors and plot holes so readers can see your book at its best. I promise, it’s worth it. Cover templates for writers reluctant to hire an artist to do their covers. Just…don’t. Cover artists are magic and cheap, especially on sites like fiverr.com. With expertly designed covers starting at $5 a piece, there’s no excuse for not investing in the quality artwork your book deserves. At that price, you could even buy 2 or 3 covers and ask your readers which one most makes them want to pick up the book and read it. But hey, why tell you why non-pros shouldn’t attempt their own cover art when I can show you: Behold: a before and after picture of template author art vs the trained eye and hand of a pro. Also… Can you guess which one of each book the publisher went with? I know which book cover(s) would make me more likely to pick up the book. Copyrights. While it’s possible for someone to steal your book, it’s not normal for an unknown writer to be a victim of intellectual theft to that degree. Granted, investing in a copyright for your book is less expensive than some of the other junk on this list ($50-ish when last checked), but if you don’t have a following, yet, you might not need a copyright. It might be okay to build your author platform first and save your money until you have the reputation of someone worth stealing from. Trademarks. Um, if you’re famous enough that people are riding your coattails to financial security, good for you. If you’re famous and vindictive enough to go after those coattail riders for selling unauthorized T-shirts with your character on them, good for you and your lawyer. If you’re not that rich or famous, yet, consider this: Trademarks cost a lot of money. I want to say when I tried it, the fee was more than $200 but less than $500. Not only was the process so tedious and confusing that I gave it up, and the legal eagles declared the case “abandon,” the trademark only covers one category of merchandise. For example, if you want money from both T-shirts and coffee mugs with your trademarked character on them, you have to file 2 separate items of pricey trademark documentation, not just one. Isn’t capitalism fun? Trade Shows. I love trade shows: Comic conventions, book Conventions, Renaissance Faires… I did not come out of a box liking trade shows. My first couple shows were $200 per booth for me to people watch and feel awkward. If you’re the semi-rare, non-introverted author, and you think face-to-face sales might be your jam, find a $50-100 table at a smaller convention / faire / book-friendly shindig. It’s intimate, less intimidating, and if you lose money on your first one, you’re not out much. Boy, I’ve been suckered a lot of con artists in my young life. I hope you can avoid some of this nonsense on your own writing adventures. Feel free to comment about any mishaps I might have skipped. I’d be grateful to know I didn’t fall for every trick in the book. Next postArt + Mental Illness = Myth?